While the idea of starting a compost heap may seem daunting, it’s actually a very easy process and we’ll help you get started in just a few easy steps. Compost will improve the structure, water-holding capacity, and aeration of the soil and will also make your garden more resistant to warmer and cooler weather. If that wasn’t enough, compost will also provide your plants with nutrients and you’ll soon find yourself saving kitchen scraps to add to your pile. Here’s how to get started with composting. 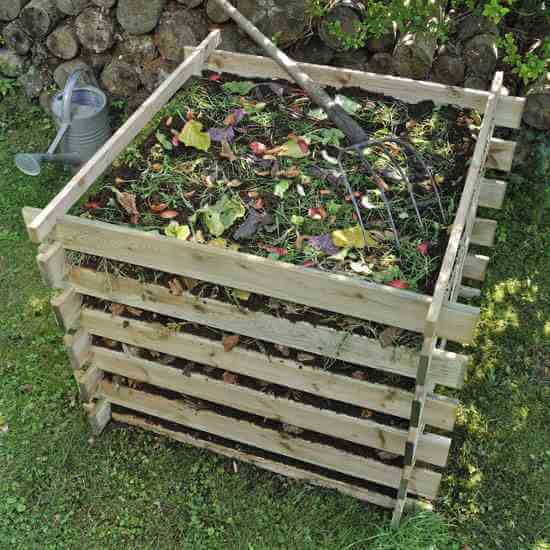 The first thing you’ll need to do is create a workspace where you’ll build your compost pile. This area needs to be close to where you will use the compost and convenient for the depositing of raw materials. The area should be no further than hose-length away from a tap, protected from the wind, not under trees, and either in the sun or shade. It’s a good idea to purchase a compost bin if possible or create a space using heavy gauge galvanised wire in order to keep the materials easily contained. Your compost pile ingredients must consist of brown and green materials which are rich in carbon and nitrogen respectively. For the brown materials, you can make use of dried leaves, newspaper, woodchips, and straw, while your green materials can consist of grass clippings, fruit and vegetable peels, coffee grounds, and manure – a list almost as long as your favourite online pokies Australia! The ratio of ingredients needs to provide a good balance of carbon and nitrogen as a sufficient supply of each is needed for decomposition. This balance will be created by mixing 1 part green materials to 2 parts brown and should be measured by volume, not by weight. Start your compost pile by placing the correct proportions of green and brown materials in your compost bin or workspace by layering them alternately. Wet each layer with enough water that the materials start to gleam and become sticky to the touch and make sure that each layer is no more than 5cm thick. Put kitchen scraps at the bottom or in the middle as to not attract foraging animals which may disturb the pile. As your pile starts to decompose, you can continue to add new layers to the top of the pile. Don’t be alarmed when your compost pile looks noticeably smaller after only just a few days – this is all part of the process. Microbes will begin feeding almost immediately and the temperature at the centre of the pile will begin feeling warm to the touch after only 1 or 2 days. As the decomposition process continues, the heating process will stop and if you are looking to speed up the compositing process, it’s a good idea to turn the contents with a pitchfork. Continue the process until you see a fine brown or black soil-like substance at the bottom of your compost bin as this means your compost is ready to use!